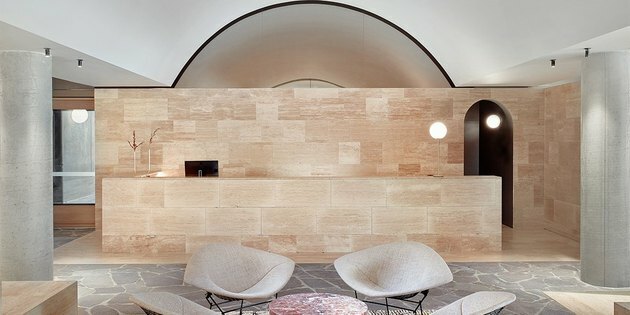 Most of the time, we drool over hotel design in a way that's more about fantasy and escape, less about the real world. 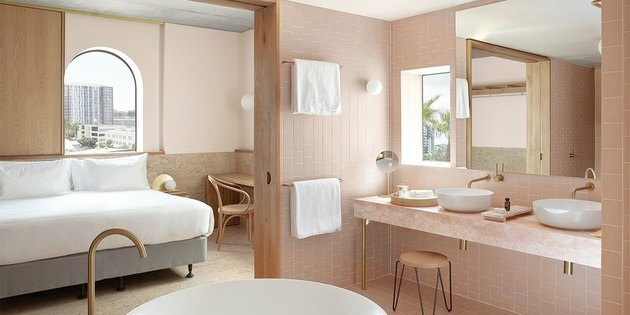 But these days, we're finding more and more hotels that offer design ideas that really make us say, "Hey, I wish my house looked like that." Enter The Calile Hotel, a cool boutique stay in Fortitude Valley, a trendy Brisbane 'burb. 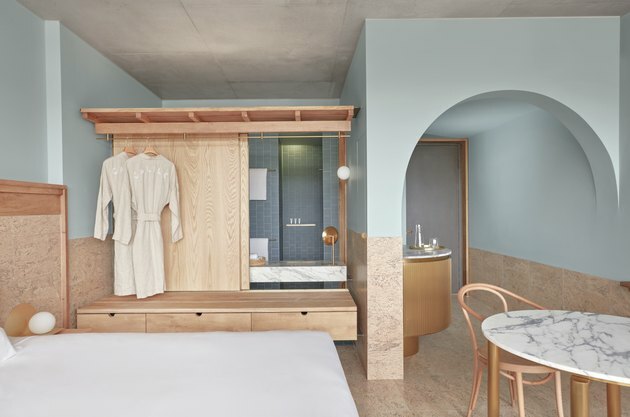 It's a "resort-style hotel in an urban context," explains Michael Malouf, one of the owners. Local design duo Richards and Spence were brought in to create an environment that marries natural materials with subtle exotic touches. So, while the public spaces channel luxe seaside vibes (outdoor dining cabanas and sun lounges by the pool, with Turkish travertine and light-green stone tile) the rooms feel very up to date in a way where there's a delicate balance of luxury and minimalism, with materials like wood and marble being used in smart and restrained ways. The result is an aesthetic we'd definitely import into our own homes. 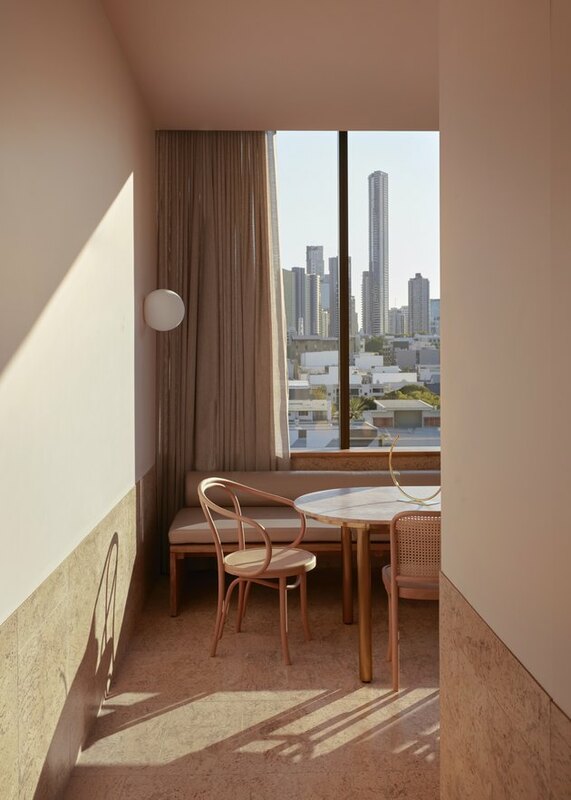 Soft, earth tones were used in the room's design, to play up the region's stunning light as well as the property's minimalist design. Custom marble furniture within the 175 rooms (and ensuite baths), plus the Lobby Bar, was sourced from India. Cork flooring, cane chairs, and milk-glass globe pendant lights create an air of restrained sophistication. 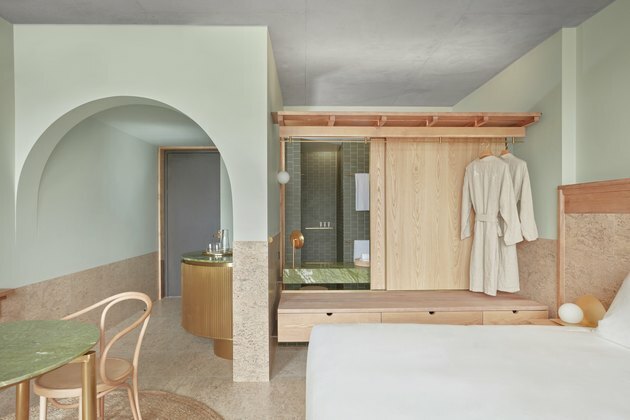 Each room's bath features Grown Alchemist toiletries, plus custom linen robes created just for the hotel. 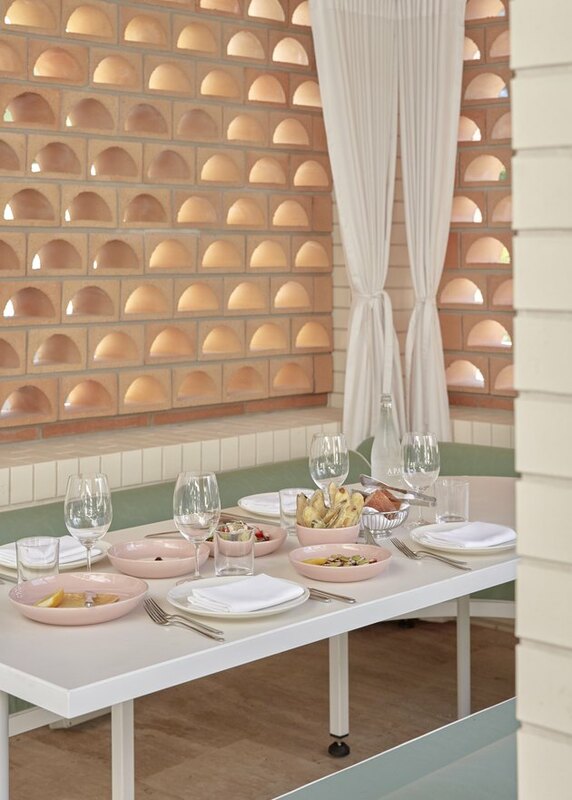 Guests can feast on fresh Greek cuisine in one of the private dining cabanas. 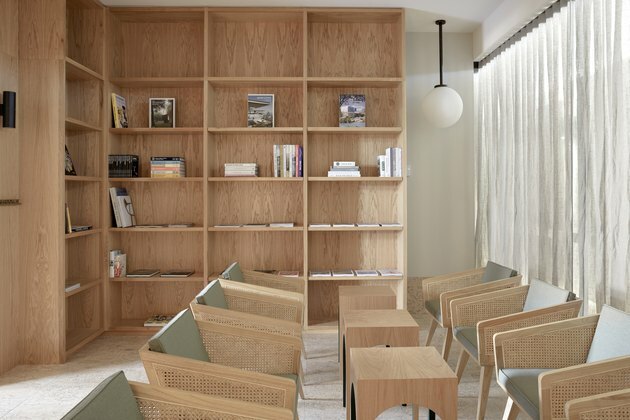 The hotel's library feels like a smart and updated take on midcentury modernism.